This is largely due to the Mutual Fund Act of 1999, a piece of legislation that defined the various types of mutual funds allowed in the country of Belize and put some regulations in place to protect investors. Since 1999, the economy in Belize has only strengthened, and an increasing number of firms and investors gravitate toward mutual funds within the country. Before you make an investment, be sure that you clearly understand the difference between public and private mutual funds in Belize. Perhaps the biggest difference between public mutual funds in Belize and private mutual funds in Belize is the number of investors who can participate within the mutual fund. A private mutual fund is limited to a select few investors, and the laws of Belize require that a private mutual fund has no more than 50 investors. A public mutual fund in Belize, on the other hand, has no limit to the number of investors who could contribute. Public mutual funds are open to the public to purchase, and anyone who has the funding can be a part of the fund without discrimination. 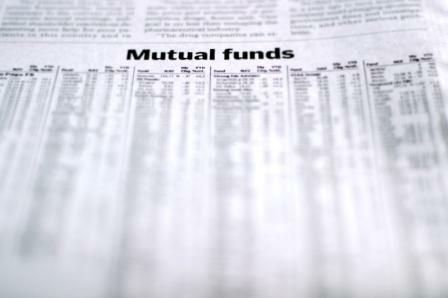 In many cases, the types of investments found in public and private mutual funds are remarkably similar. Mutual funds might invest in stocks, foreign currencies, commercial real estate development and nearly any other traditional or alternative investment desired. However, there is a notable difference in the risk level of the investments found in public and private mutual funds. Public mutual funds tend to operate with lower risk levels when possible, hoping for steady growth upwards. Private mutual funds may operate the same way, but some can also take greater risks in the hopes of greater financial reward in the future. Public mutual funds are open to any investor, and anyone who can afford the minimum investment can participate. However, private mutual funds in Belize are only open to those who have a minimum of $100,000 USD in holdings. With this minimum net worth, the Belize government is ensuring that the loss of any investments through a private mutual fund won't bankrupt an investor. The investors who are invited to participate in private mutual funds within Belize tend to be high-net investors who have lots of knowledge about investing and understand each of the many risks involved with it. One thing that private and public mutual funds in Belize have in common is how beneficial they can be to investors. Since Belize is a tax-friendly jurisdiction, investors can pay fewer taxes and enjoy greater profits. Plus, Belize boasts a lower cost of living that translates to lower overhead and maintenance fees for the mutual funds. Finally, Belize offers greater privacy and anonymity to investors from around the world. Whether you want to establish a private mutual fund for a select few investors within Belize or you plan to invest in a public mutual fund, make sure to learn as much as possible about both public and private mutual funds.